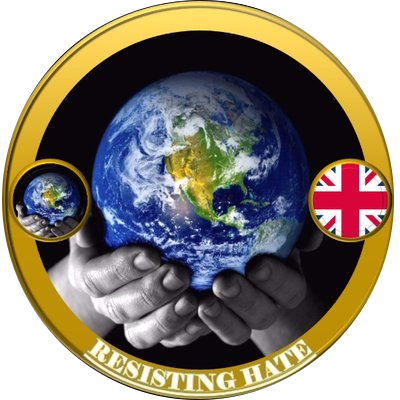 The convicted fraudster Stephen Yaxley-Lennon saga continued yesterday as the epicentre of the fash fuelled rage moved from Leeds to Whitehall. 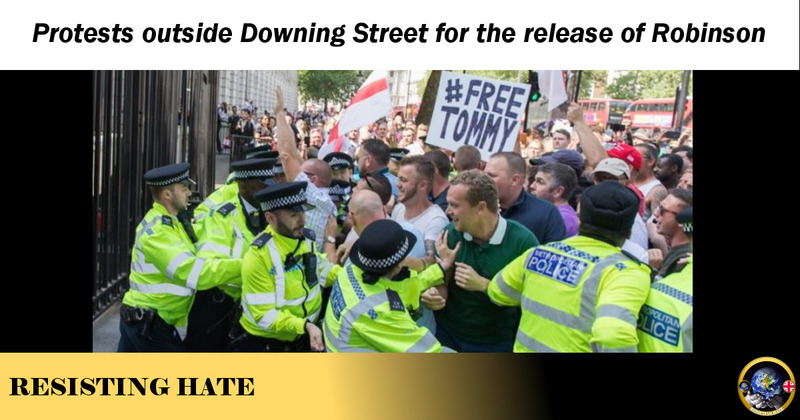 Promoted by some sizeable Facebook pages and Twitter accounts the meeting point at Whitehall was proposed as the venue for a protest about Robinson being sent to Hull jail. 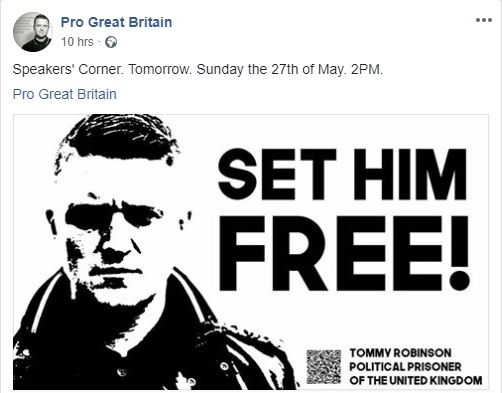 The wording ‘political prisoner’ (which has been quoted widely all over the web) refers to the fact that the far right believe Robinson was sent down for his views on Islam. This is quite simply not true. There is a lot of confusion as to why Robinson was convicted and tried so quickly. The reason is it was because he was already on a suspended sentence for exactly the same offence, namely reporting on a trial before proceedings had concluded. The suspended sentence was activated on the repeat of the offence and Robinson was imprisoned as a result. 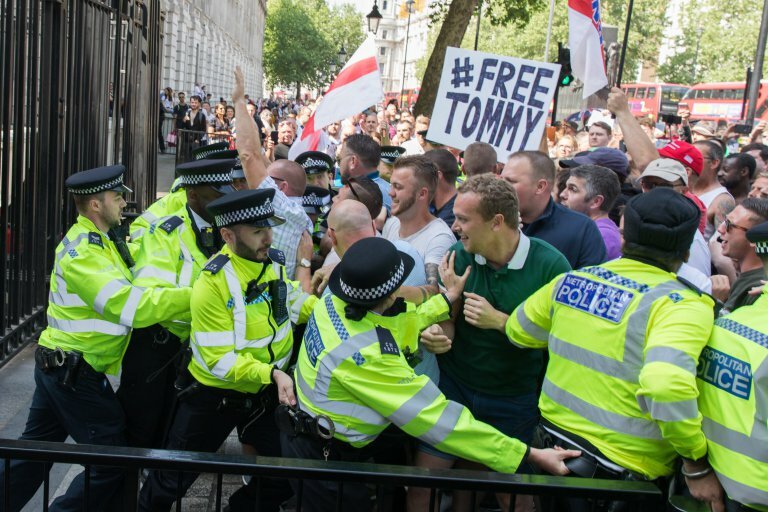 Nevertheless our outraged fash trotted on down to Whitehall to ask for ‘muh Tommeh’ back. Not quite in the numbers expected. The press are reporting a turn out of hundreds rather than thousands. But a fair amount turned up and took their protest to the gates of Downing Street. The usual spokespeople for the far right hopped on the bandwagon. The interesting question is what Tommy supporters actually hoped to achieve. Under British law the judiciary is a separate body to the legislature (Parliament). Judicial independence is an important element of our legal system. So it turned out it was all a bit pointless shouting insults at Theresa May through the Downing Street gates. As soon as the reporting restrictions are lifted we will publish more on the Robinson case. I understand what the reporting restrictions are for the trial of the Huddersfield men but I didn’t know that Tommy Robinson’s case is subject to reporting restrictions, what restrictions and why does his case have them? 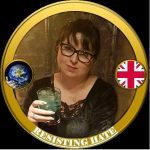 The reporting ban is linked to the original trial. As soon as sentencing is completed and made public then the press will be able to report on Robinson. Although given how many people from overseas have posted there can’t be many people who don’t know what has happened now.